What? 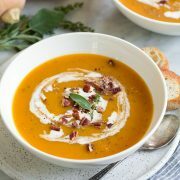 The first butternut squash recipe I’ve ever shared? Not sure what took so long but it’s about time! We all know I’m crazy about salads as of late so I decided to try a butternut squash salad, something I haven’t ever tried before. Really I don’t cook that much butternut squash but I’m starting to like it more. And the best way to turn a somewhat boring something into something amazing? Add bacon. 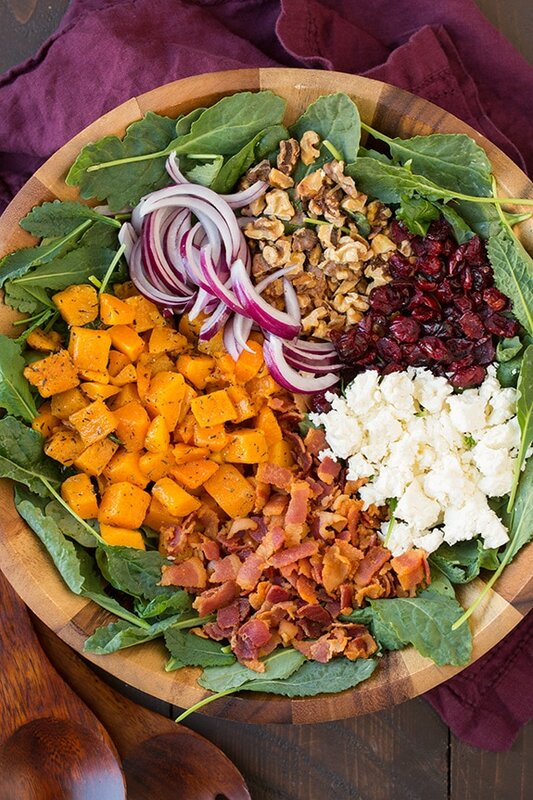 You just can’t go wrong with bacon and it’s absolutely perfect in this salad. It gives it that salty, crispy, melt-in-your mouth bite and it pairs perfectly with the squash, feta/goat cheese and walnuts. And of course it goes perfectly with that maple-rosemary vinaigrette. Have you ever had maple bacon? It’s amazing! 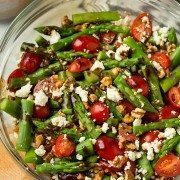 This is a versatile recipe, you can switch up the greens or add more greens to stretch the salad a little more, you can add some roasted chicken to make it more of a main dish, and you can use feta or goat cheese. I used feta this time around but next time I want to try it with goat cheese because I love goat cheese too. And for some reason it seems like a good cheese for fall. I’d even like to try this salad with sweet potatoes sometime. 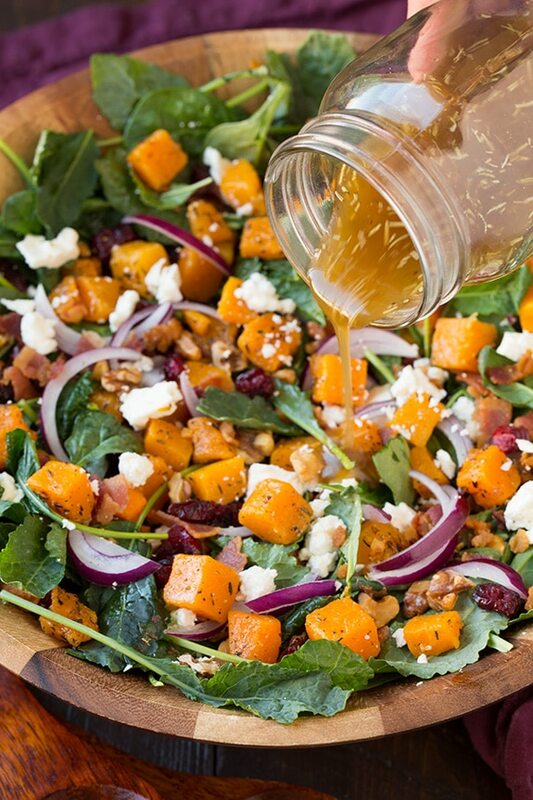 Bring those delicious fall flavors to your dinner table this week by making this incredibly tasty salad! It’s full of flavor and it will leave you wanting more! 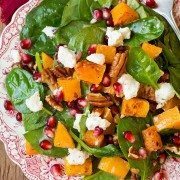 My husband who has always turned away butternut squash loved this salad! 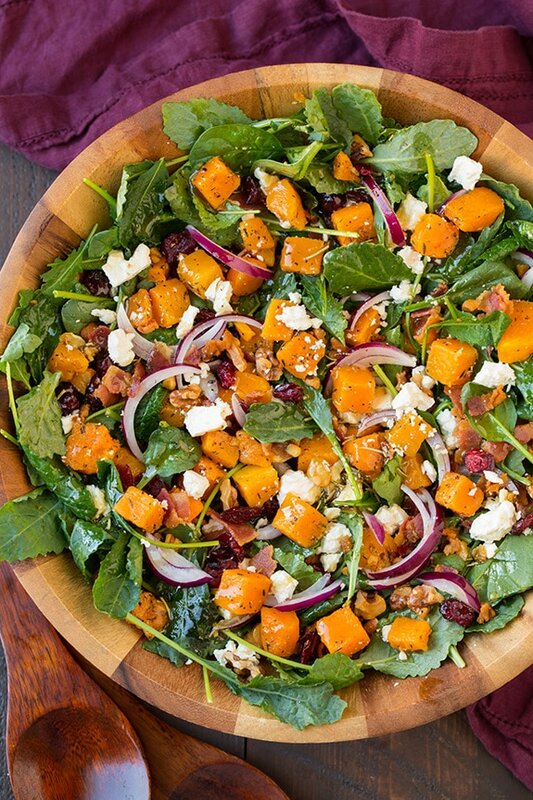 A must try fall salad! 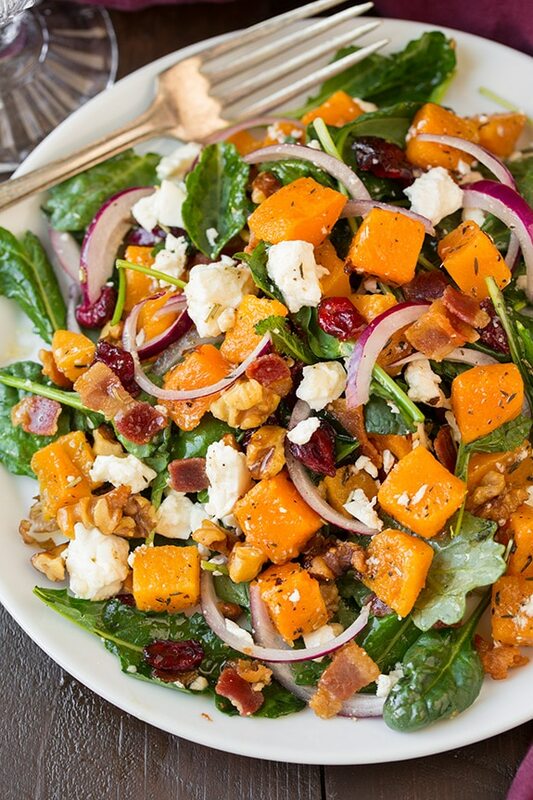 Baby kale and spinach are layered with tender roasted squash, salty crips bacon and tangy feta then it's finished with a bright, slightly sweet maple vinaigrette. In a small saucepan whisk together maple syrup, apple cider vinegar, mustard, garlic and rosemary. Bring to a boil over medium heat, then allow to boil, stirring frequently, 2 1/2 minutes. Remove from heat and stir in olive oil and season with salt and pepper (about a scant 1/4 tsp of each). Spray a rimmed baking sheet lightly with non-stick cooking spray. Place squash in a mound on baking sheet. Drizzle with olive oil, sprinkle with thyme and season lightly with salt and pepper then toss to evenly coat. Spread into an even layer and roast in preheated oven 15 - 20 minutes, tossing once after 10 minutes, until tender. 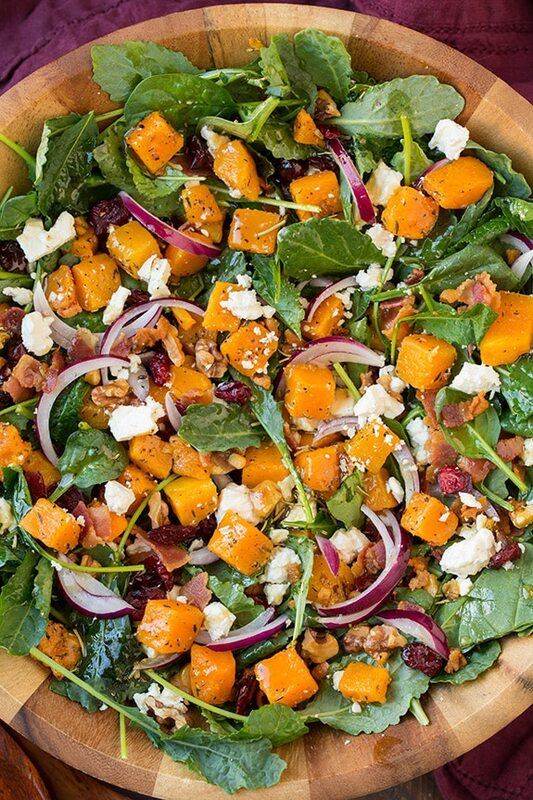 To a salad bowl add lettuce blend, squash, bacon, walnuts, red onion, feta and cranberries. Gently toss salad. Whisk dressing then drizzle over salad and lightly toss. Serve immediately after adding vinaigrette.